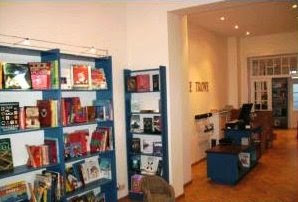 Joanneke said: "I would like to tell you about a children’s book store, Treasure Trove, located in Tervuren, Belgium. After serving a loyal clientele for thirty years in nearby Moorsel, new owners moved the store to this cosy town in December 2008. 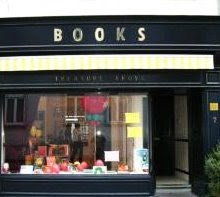 It is the only English-language bookshop in Brussels that specializes in children’s books. I was a happy patron of Treasure Trove in its previous incarnation, but was so excited by the newly outfitted store that I applied for a part-time position there as soon as it opened its doors. The new site is on a busy high street in Tervuren, an affluent, family-friendly area popular with Brussels’ thousands of English-reading and speaking expatriates, as well as with English-fluent locals. It is also conveniently close to several English private international schools. The new location is delightfully cosy, with comfortable areas to sit and read or linger to discover new titles. Treasure Trove has designated areas for babies to early readers, and junior fiction and non-fiction up to young adult. The different sections also include books on parenting, dyslexia and English as a Second Language for children and teens. The staff is dedicated and very knowledgeable. With published authors and international school librarians among their ranks, they have strong connections to the English-language community in Brussels. At the moment they are developing an extensive website to accompany the personal and enthusiastic newsletter that is sent out every month. They also host several children’s events such as author visits, story-time, summer reading parties, and story contests." Treasure Trove, a specialized children's bookstore in Tervuren near Brussels, offers a very rare combination - enthusiasm, ambition and energy of the new along with the stability, experience and cherished tradition and reputation of the old. There's no doubt that it will be very interesting to follow the journey of Treasure Trove in its new locality and we are sure that it will soon find its clientele, both new and old. 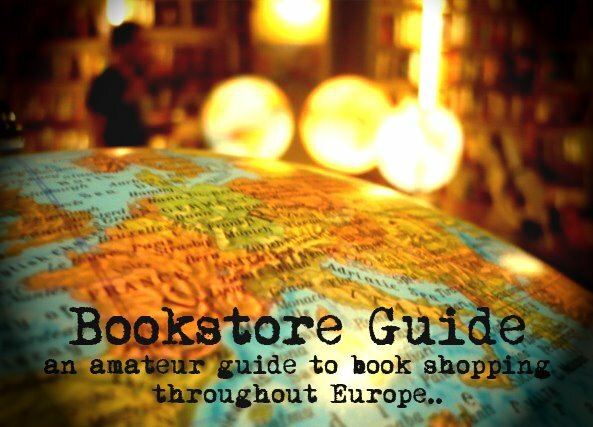 There is not much we can add to this informative and ample recommendation, just that it has definitely managed to convince us that discovering this bookstore may definitely be a true treasure to many parents and especially children.